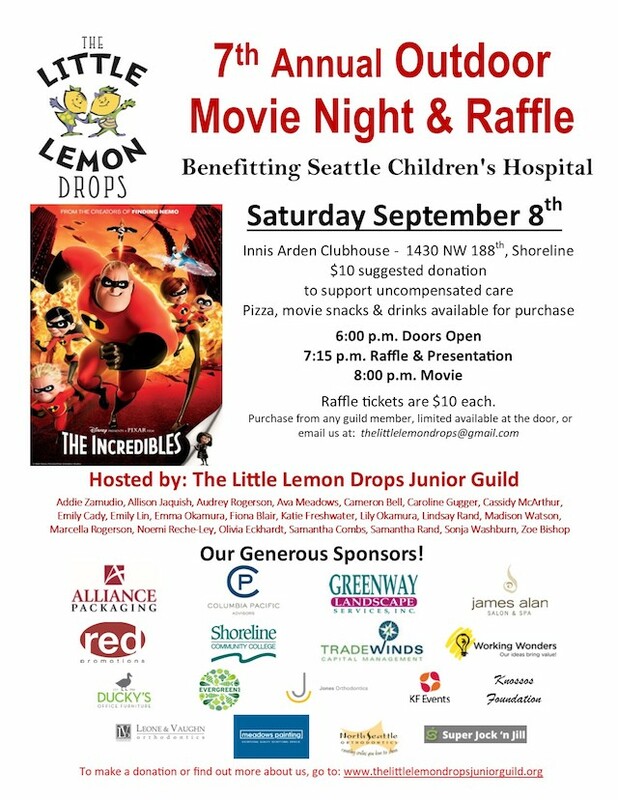 The Little Lemon Drops Junior Guild will hold their 7th annual Outdoor Move Night and Raffle on Saturday, September 8, 2018. The event will be held at the Innis Arden Clubhouse, 1430 NW 188th St, Shoreline. $10 suggested donation. Pizza, movie snacks and drinks will be available for purchase. Raffle tickets are $10 each. Email for purchase information. All proceeds go to Children's Hospital.